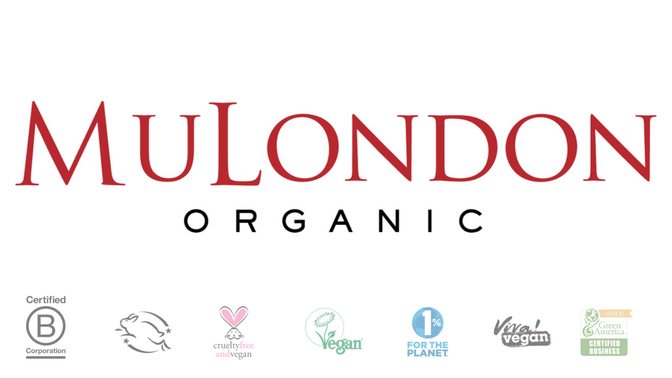 There aren’t too many personal care products out there that are vegan, cruelty-free, free of harmful chemicals, marketed towards men AND allow you to travel virtually through the power of scent. Fortunately, we’ve found some of those products, and they all happen to be manufactured and sold by das boom Industries. We’ve caught up with Shy, President of L.A. based das boom Industries, to find out more about what makes this unique, award winning brand tick, and where they’re going next. Q: What was the motivation for starting das boom? We felt that there was a missing component in the men’s grooming market – there weren’t really many ranges that fused great skincare with distinctive scents that just simply smelled good. 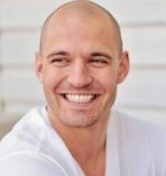 We wanted to create a luxury line of men’s grooming products that were versatile and more importantly, featured unique, sensorial scents. Scents for people tell a story or reminds them of a place and time in their lives, and das boom aims to capture that sentiment – telling a story through its scents. We curated blends of scents aiming to pay homage to the great destinations of the world such as Detroit, Marrakesh, and the West Indies, so it allows users to feel a sense of being transported to a different destination when they apply our products. We use ingredients like bourbon, smoke, rum, and shiso leaf – all of which tie back to a part of the world that oozes a sense of masculinity. We really wanted to celebrate the urban adventurer who craves to see the world. Q: What sort of products do you offer? We offer body washes, body lotions, shampoo, conditioner, bar soaps, and body brick exfoliators – all in a variety of scents. 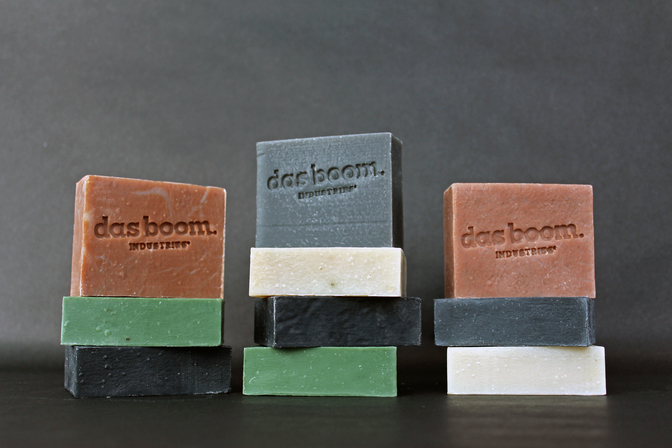 Q: What was the motivation behind making das boom a vegan-friendly and cruelty-free company? There wasn’t really any grooming lines on the market that were all-natural and vegan. We really wanted to make sure that we sourced and used only all-natural ingredients (such as Argan Oil and Blue-Green Algae) that were proven to be effective in treating and maintaining good skin. All of our products are also gluten-free and formulated without parabens, petrochemicals or any other chemicals that can be reactive and harmful to the skin and health in the long run. Q: So your products are made in downtown L.A., was the company founded there, or did you move operations there? The company was founded in downtown LA, which is where all of our products are still manufactured today. Q: Das boom is PETA and Leaping Bunny certified, why was it important to get these certifications? We believe in taking care of our planet, and that includes the animals that live in it! Q: Are there other companies that you see whose efforts inspire you to continue to make outstanding products for your customers? Our main inspiration doesn’t come from other companies, but rather we observe the trends and lifestyle elements of our consumers – their likes, desires, goals, and beyond. Because ultimately, we are creating products for them, so it’s important to understand what empowers them. For many of them, it’s the sense of adventure and living life to the fullest. Our scents pay homage to everywhere we’ve been and the experiences that we’ve created in these places: the piney resin that covered our hands after a long hike in Alaska, our first taste of shiso leaf in Japan, the smell of Dad’s pipe when he taught us how to change a tire on the streets of Motor City. Q: What sets das boom’s products apart from other brands? Aside from the fact that we are vegan, cruelty-free, and only use the best all-natural and environmentally friendly ingredients with a Leaping Bunny certification, das boom products are really just tried-and-true, hard working formulas that leave you feeling clean and smelling great, while being transported to another part of the world through our scents. Q: Have you been getting a lot of media or attention? Our body brick was named product of the year GQ Magazine recently. Q: What are das boom’s plans for the future? Any new and exciting products on the horizon? We have a few products that we will be launching later this year – three brand new products in which we will also introduce a new scent as well as enter a new category. A facial cleanser, shave cream & face moisturizer/aftershave balm. All three will be available in a volcanic ash formula. Q: Where can das boom products be purchased, are they available internationally? das boom can be purchased on dasboom.com, birchbox.com and several brick and mortar stores around the US and Canada which can be found through the store locator on the das boom website. We are in select bloomingdale’s locations across the country. Soho, Los Angeles, Chicago.